2013 Zero Motorcycles DS ZF11.4, Priced to Sell. New Market Adjusted Pricing. - Bypass the Ordinary The Zero DS combines innovation with passion to deliver the worlds most versatile electric motorcycle. Designed to be agile in the dirt and quick on the street, the Zero DS represents a new kind of freedom. Blast down a gravel road or a dusty trail. When youre ready, stealthily pass from the wild to the civilized as you arrive at your destination. The Zero DS is tough when you demand it and distinguished when required. Its edgy, yet sophisticated, appearance is highlighted by an eye catching twin spar frame that is both rigid and lightweight. Powered by the most advanced powertrain in the industry, the Zero DS is a fully electric motorcycle that can handle any surface you throw at it. Overcoming obstacles and maintaining control is effortless due to its fully adjustable suspension and rugged wheel set. Under technical riding conditions, Zeros optimized direct drive system delivers astonishing responsiveness with the twist of your wrist. 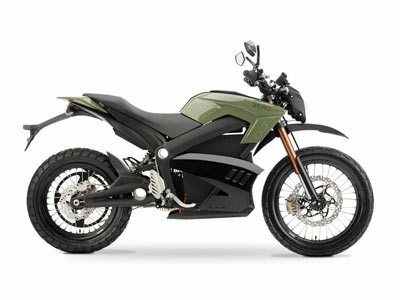 All Zero pictures are kind of Zero HD motorcycles picture was taken, including motor fuel gauge, engine, engine mounts, tires, fuel tank, the car handles, lights and so on, 2013 Zero Motorcycles DS ZF11.4 full-screen viewing,2013 Zero Motorcycles today Price: $15,995.